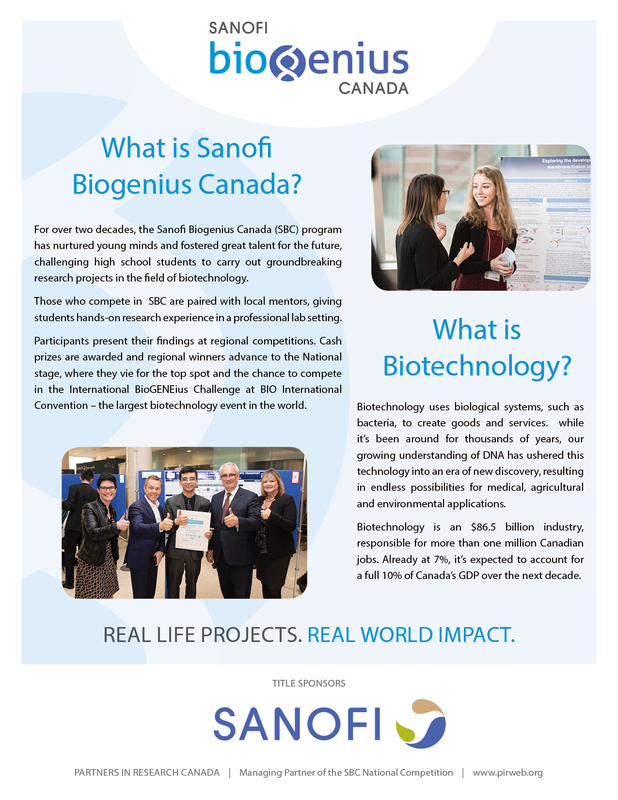 Many of the groundbreaking discoveries made through the Sanofi Biogenius Canada would not have been possible without the vital support of teachers and mentors across the country. Sometimes, even the brightest young minds need a bit of encouragement! If you are a secondary school teacher who would like to help students realize their greatest potential, consider spreading the word about the SBC. Here, you’ll find posters detailing some of the truly amazing achievements by past participants. Share these with your class to plant seeds of inspiration…you’ll never know what great ideas are waiting to be found! Talk to students about project ideas. Challenge students to research topics in scientific journals or on the internet to find out what has been accomplished in a subject area. Encourage students to prepare a research proposal based on criteria listed elsewhere on this website. Review and sign off on their proposal before it is submitted to the SBC. After learning that the proposal has been accepted, assist the students in contacting relevant mentors in their area. Encourage students to begin their research. Ask students to keep you informed of their progress. 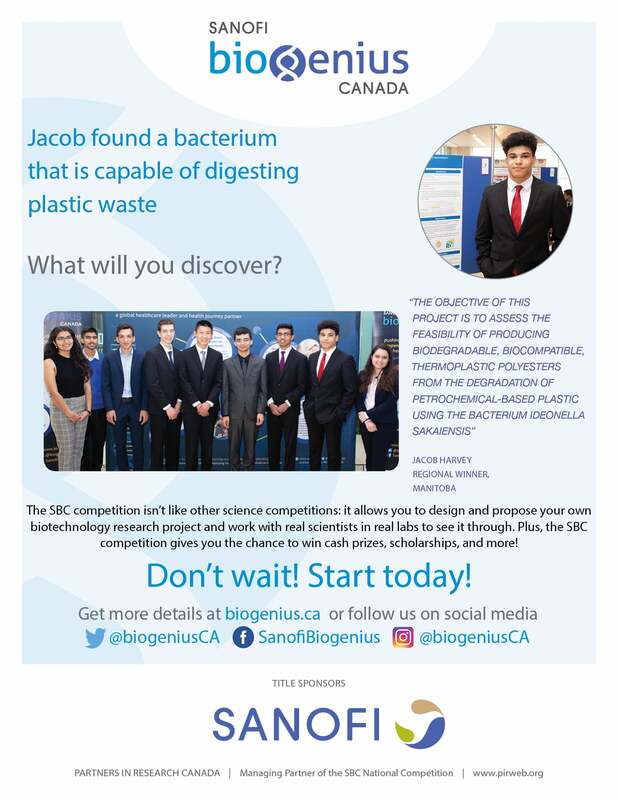 Jacob found a bacterium capable of digesting plastic waste. What will your student discover? Click here to download this Promotional Poster.